Are you looking for a custom website at an affordable price? Our Gold Web Presence Package allows you to establish your pool construction, service or retail company brand image, while creating a strong digital media presence by choosing from a multitude of custom templates and personalizing it with your brand, color scheme and project photos. With our ready-to-go layout options, we can create a cohesive brand appearance with content that’s unique to your business, all while focusing on on your site’s usefulness and engageability. We design engaging websites that draw in customers by creating a memorable experience while converting visitors into leads. Our Gold Web Presence Package is perfect for the pool construction, service or retail business owner looking to showcase their unique brand with up to a 20-page pre-designed website featuring a few custom elements. We have the tools to build a responsive website promoting your brand and company in a way that helps you stand out among the competition. Built in WordPress. WordPress is easy to use and update, and it is versatile enough to do nearly everything your business needs for customer engagement. Industry Expertise. 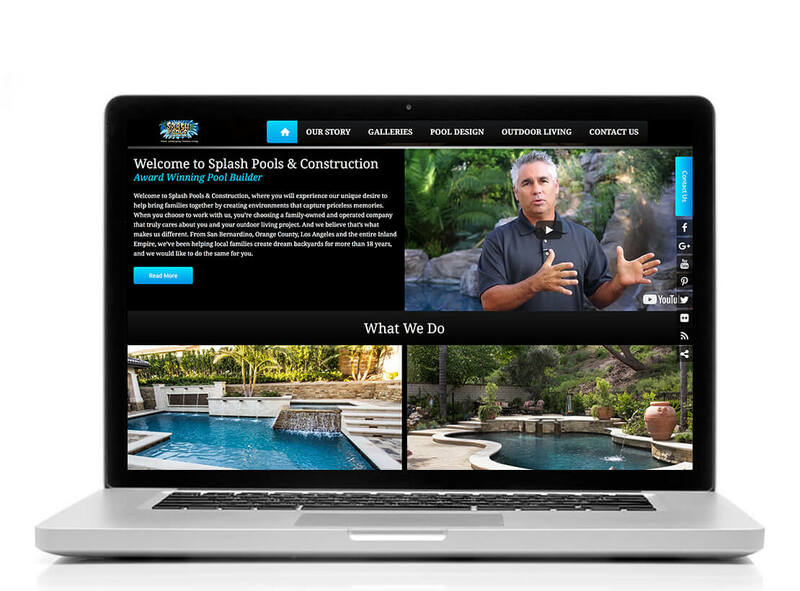 We specialize in the pool and spa industry, and have built hundreds of websites for industry professionals. Works Great On Every Screen. Our professional responsive websites present beautifully no matter what device is being used. On-Page SEO. We will optimize the individual web pages in order to rank higher and earn more relevant traffic in search engines. Guarantee of a Well-Built Website. You will receive a fully-detailed Website Report Card after launch. One-on-One Website Training. You will receive a recorded video tutorial that includes how to edit text and photos, as well as add testimonials and blogs. Optional Ongoing Website Maintenance by Those Who Built Your Site. Keep your site up-to-date and secure with the latest WordPress and plugin updates. “I have, and will continue to, highly recommend Pool Marketing Site to design anyone’s website. They are easy to work with and very communicative. They are very knowledgeable and keep up-to-date with design and increasing technology changes. But beyond the great technical assistance and contemporary design options they offer, they are a great bunch of people eager to see each company, regardless of size, succeed on the web. For instance, we just recently had them redesign our website, and we were thrilled to discover that they used the most up-to-date coding on the website which enabled our website to stay current even with the new requirements from Google for mobile-friendly web design. Their aggressive strategies in web design saved us from a lot of last minute changes and updates and from losing web status or presence.